Today's release contains a warm and comfortable large wool cardigan, to make every outfit season-appropriate. It comes in 2 different knit styles, each in 5 warm colors. It can be combined with the new Poise dress: a romantic silky dress that can be worn as day-wear, but can also seductively be worn as night-wear. There are 16 colors to choose from, ranging from plain to ombre textures in neutral soft or bright vivid colors. Furthermore, we like to introduce the new, very typically Maitreya mesh socks 'Dahlia'. These girly mesh socks sit just below the knee. They come in 30! colors and can be purchased separately or as a HUD driven fatpack. There is a flat feet and a tip-toe feet version of the socks included and the HUD has a 'hide' function for the lower part of the socks. This allows you to wear them with boots too. Last but not least are the Stagioni XTD boots. There were many requests for more colors of the popular Maitreya Stagioni Boots. But we could not resist making a revamp or extended version of the boots. So instead of 'just' a collection of new colors, we completely redid the boots and made new textures for them. The new extended shape is a wider, more slouched calf, to add to the relaxed 'worn' look of the boots. They come in 7 new suede colors and also 7 leather textures! And there is a Maitreya V.I.P. Group exclusive color, that will only be available for a limited time and for a special V.I.P. group members price of L$275. 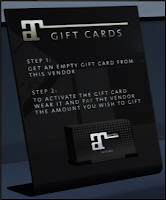 Maitreya also now has Gift Cards available at the main store so you can gift them to your loved ones for the holidays. They can be found on the counter at the main building. 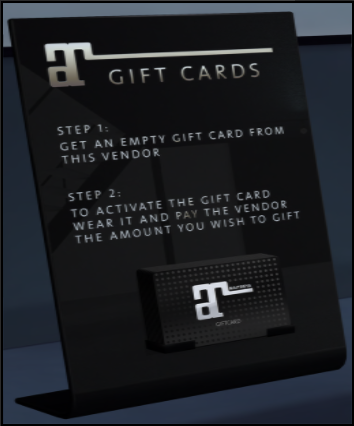 After buying a gift card you need to activate it and choose the amount you would like to put on the card to gift. Maitreya sends warm wishes to you and your family this holiday season. Happy Holidays! Starting this month, Maitreya has joined Collabor88. The items available are an over-sized coat and panel leggings. We hope you enjoy them and they keep you warm during this cold winter season. Keep an eye out for more releases coming from us very soon!